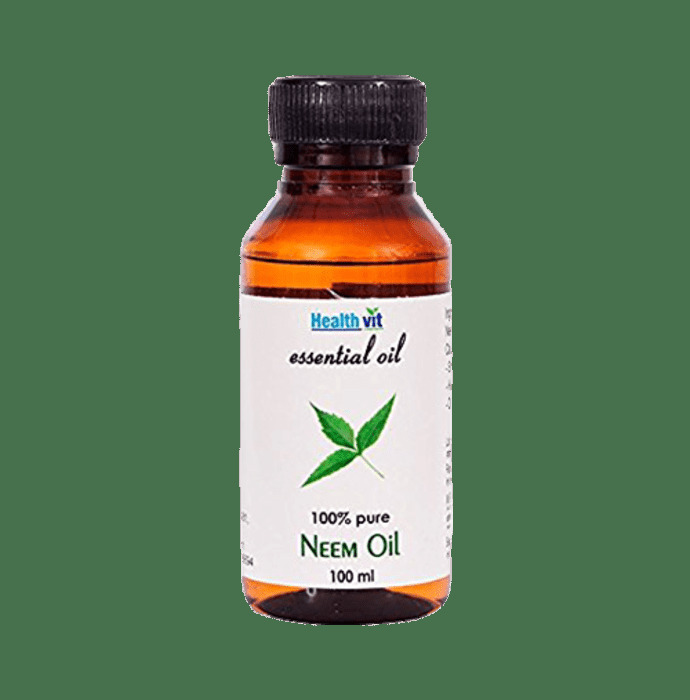 Healthvit Neem Essential oil contains pure extracts of Neem oil. Neem Oil is extracted from the seeds of neem tree through cold-pressing extraction method. It has an ability to clean and clear skin tone for a refreshed appearance. Neem oil is useful for hair, skin and body care.